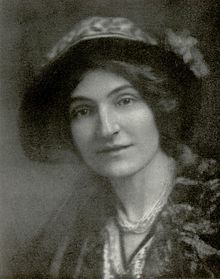 Alice Stone Blackwell in the United States and Zabelle Boyajian in England played a central role in the promotion in Armenian literature at the turn of the twentieth century. Boyajian was born in 1873 in Diarbekir. Her father Thomas was a former Evangelical pastor who had become the British vice-consul in the city. After the death of his first wife, he had remarried to Catherine Rogers, an Englishwoman who was a descendant of poet Samuel Rogers (1763-1855). Her parents homeschooled her and taught her history, geography, and several languages (Armenian, English, French, Turkish, German, and Russian). They also instilled in her the love for Armenian and English literature. During the Hamidian massacres of 1895, Thomas Boyajian was killed by the Turkish mob in Kharpert, where he was spending the summer with his family. His wife, together with their children Zabelle and Henry, relocated to London. Zabelle would spend the rest of her life in the British capital. She enrolled at the Slade School of Fine Art in University Central London (UCL). In 1901 she published her first work of fiction, the novel Yestere: The Romance of a Life, under the pen name Varteni, to avoid endangering the life of her relatives still living in Constantinople. It was based on the events following the massacres of Sasoun in 1894. The novel was very successful and it was immediately published in German. An Armenian translation remained unpublished, however. Zabelle would actively devote herself to writing and painting. She wrote important essays on figures of world literature like William Shakespeare, Lord Byron, and Euripides, but also published essays and many translations of Armenian literature. She was close to Anna Raffi, widow of the famous Armenian novelist, and her sons Aram (1876-1919) and Arshak. In 1916 she compiled and translated the anthology Armenian Legends and Poems, which had an introduction by Viscount James Bryce and an essay on Armenian literature by Aram Raffi. The anthology was illustrated by her works inspired by Armenian legends. In the same year, she participated in one of the many commemorative festivals taking place on April 23, 1916, on the occasion of the 300 th anniversary of Shakespeare’s death. She recited her personal ode to the Bard, entitled “Armenia’s Love to Shakespeare.” Her poetic tribute was selected, along with 165 others, to be published in A Book of Homage to Shakespeare. As a painter, Boyajian had individual exhibitions in London in 1910 and 1912, in Germany in 1920, in Egypt in 1928, in France, in Italy, and in Belgium between 1940 and 1950. In 1921 a revised edition of the Armenian translation of Hamlet, by Hovhannes Masehian, was printed in Vienna, illustrated by her. She published her most important work, Gilgamesh: A Dream of the Eternal Quest, a dramatic rendering in poetic form of the tale of the mythical Sumerian hero Gilgamesh, in 1924. She traveled widely and in 1938 published her travel notes and illustrations of Greece, In Greece with Pen and Palette . This was followed by a play, Etchmiadzin, in 1943, which was performed in New York in 1946. Two years later, she published her translation of Avetik Isahakian’s epic poem Abu Lala Mahari. Zabel Boyajian passed away on January 26, 1957. Her Armenian Legends and Poems, which had been out of print since its first publication, was reprinted in 1958 in London and New York.